There is no sight more pleasing than the sight of rolling fields of lavender. Lavender is beautiful, whether you like the smell or not you cannot fail to be moved by the sight of purple fields of lavender rolling under the summer sky. Lavender is a smell that I have learned to love. For many years I couldn’t abide its smell, which to me was reminiscent of old ladies, underwear drawers and cleaning products. These connotations give lavender a bad rep that it absolutely doesn’t deserve for it is one of the most complex and pleasing fragrance ingredients available. What I have found most interesting on my lavender scented journey is despite the fact that it is such a bold and distinct smell, it is also incredibly versatile and there are a melange of superb perfumes that showcase the note in unique and fascinating ways. 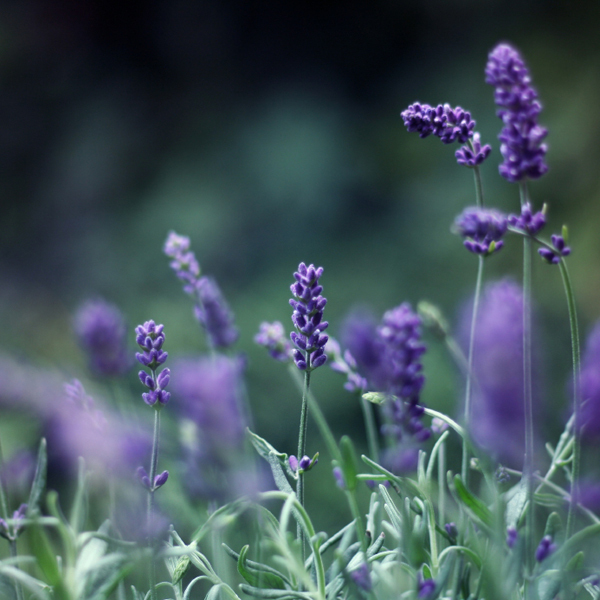 The smell of lavender is arguably one of the most distinct smells on the planet. It has many facets, it is herbal, sweet – like burned sugar, fresh, green, minty, menthol and floral. Despite its distinctive aroma, lavender is an incredibly versatile material that can be interpreted in a plethora of interesting and surprising ways. To me, lavender is the smell of summer. Antiheros was the catalyst that sparked my interest in lavender. I bought it at the Etat Libre d’Orange boutique in Paris (if you’re ever in Paris you MUST go) and wearing it around the streets of the world’s most beautiful city, under the summer sun is one of the best olfactory experiences of my life so far. This anti hero is a clean, comfortable blend of lavender and musks that is strikingly reminiscent of lavender soap. It emphasises the herbal facets of lavender and pairs them with a waxy, soapy musk that is most pleasing. If you’re not a fan of lavender then I implore you to try Antiheros, it does have a very strong lavender note but it’s so clean, comfortable and easy that it may just convince you that this little flower is nothing to be afraid of. In Perfumes The A-Z Guide, Luca Turin described Caldey Island Lavender as “simply the best lavender soliflore on Earth” (p. 350) and he’s absolutely spot on. Lavender, which is produced by the monks of Caldey Island off of the coat of Wales, is the simplest, cleanest and purest of lavenders. A lavender soliflore always has the potential to progress into ‘granny’ territory, but thankfully this one doesn’t. It opens, bright, sweet and herbal with a touch of minty menthol. It becomes sweeter and more powdery with time and I would recommend it to those who were looking for a lavender without any accessories, it is pure and simple summer air. Lavender and liquorice seem like an unlikely pair, but each plays to the herbal and anisic qualities of the other in this masterful composition by Jean-Claude Ellena. As you would expect from Ellena, Brin de Reglisse is the transparent lavender, it feels neither floral nor gourmand, it strikes a weird balance somewhere in between. Brin de Reglisse is very much a fragrance of contrasts; dark and light, sugar and spice, herbs and anise. I feel as if it is lavender seen through gauze; light, airy and transparent. A Taste of Heaven is so good, so dark and so irresistible it feels as if it should be forbidden. It is yet another unusual lavender composition that creates a juxtaposition between the rather innocent lavender and naughty absinthe and caramel. This is a rich, honeyed lavender that is quite unlike anything else out there, it has a wonderfully dark, mossy base and once you had a taste, it sure is hard to kick the habit. In my review, I described A Taste of Heaven as “pure, unadulterated love at first sniff” and I needn’t say much more than that! Lavender is a staple in masculine perfumery, it is the main ingredient of the good old masculine genre ‘fougére’ and it’s use pre-dates the many washed-out masculines that seem to be in vogue today. Pour un Homme has to be, hands down, the best masculine lavender, it’s refined yet rugged and it is inherently masculine but cosy and cuddly too. To my nose, Pour un Homme is a dry, herbal lavender paired with über-snuggly vanilla and a touch of moss. It is impeccably balanced and so warm and cosy it screams ‘hug me for I am man’. I guess it’s slightly misleading to class Jicky as a lavender perfume, in fact it’s quite misleading to class Jicky as anything other than a classic. That said, Jicky (especially in EDP and Parfum) displays a wonderful lavender note. As old as the Eiffel Tower and as classic as an E-Type Jag, Jicky is one of those perfumes that you can’t help but love. It may not be as entirely thrilling as other classic Guerlain’s such as Shalimar or L’Heure Bleue, but it possesses a wonderful, refined quality that makes it incredibly versatile, it simply works in any situation. I see Jicky as the best lavender that doesn’t really focus on the lavender, it shows how lavender, which has an incredibly distinct aroma, can be used as a supporting act within a composition. The supporting acts here being citrus, civet, coumarin and vanilla. In my review I described Kiki as “the most joyful of lavender perfumes” and that’s exactly what she is. Kiki is a flirtatious lavender filled with vivacity, charm and cute sensibilities. She’s the girl that all of the boys fall in love with whilst she stays completely oblivious to their affections. Vero Kern of Vero Profumo has cleverly paired the lavender with a wonderful, fuzzy soft caramel that amps up the flower’s ‘burned sugar’ facet and takes Kiki into the fringes of gourmand territory. I see Kiki as a fun loving lavender akin to flying round the streets of Paris on a hot summers day. Do you love or loathe lavender? What are your reference lavenders? All descriptions of perfumes in this guide are based on samples or bottles from my own personal collection. Posted in By Killian, Caldey Island, Caron, Etat Libre d'Orange, Floral, Guerlain, Hermés, The Candy Perfume Boy's Guide to..., Vero Profumo and tagged By Kilian, Caldey Island, Caron, Etat Libre d'Orange, Guerlain, Hermés, Lavender, Vero Profumo. Bookmark the permalink. A Taste of Heaven is an excellent suggestion, there is so much more to it than just lavender so it might be a good fit for you. I think Mr. Kilian might be very good at convincing you! I think A Taste of Heaven is the most beautiful & ethereal lavender in the world! The ultimate luxe lavender. “The ultimate luxe lavender” I couldn’t have said it better myself. That’s right, I forgot about that little sample of Antiheros you sent me. Must dig it out again and try on. Lavender really is good and I get completely what you mean about the bad rep it gets. You must dig out your sample, it’s awesome stuff! Well as it happens I am not a fan of lavender, and was planning to spend today hiding behind the sofa. You have mentioned two perfumes, however, that I seem to remember not minding too much – A Taste Of Heaven and Brin de Reglisse. No hold on, it’s Straight to Heaven that I don’t mind. By Kilian is a bit heavy-handed with the heavenly names. But there again I do like Ava Luxe No 23, and I am pretty sure there is lavender in that! The heavenly names are a tad confusing, but on a side note I do love Straight to Heaven, like ATOH it’s very addictive. I’m not surprised that you don’t mind Brin de Reglisse, it’s like a ‘diet lavender’. I shall look into the Ava Luxe. Eau de Reglisse? I haven’t tried it. Do try the Hermès if you get the chance, it’s lovely. Very similar to Caldey Island, widely used and beloved throughout Spain and the best lavender ever! And now I’m thinking about it, did you get round to trying Lavandula by Penhaligon’s? Another exceptional one. As good as Puig – the only thing I don’t like about it is that it is three times the price… That said, a llittle more staying power. I did try Lavandula, for some reason it seemed really sour on my skin. I shall have to re-test it. The day I bought my very first grown-up perfume at 14 – in Paris, at the Guerlain store on the Champs Elysées, no less – I ended up with Jicky. I can’t remember why, exactly, except that it was everything I thought a perfume should be and all I wanted to exude at age 14, and it was nothing my mother would ever wear! 😉 She preferred Mitsouko and Shalimar, but she approved of my choice – and considering just how sophisticated it was and even is, I’m a bit surprised. No matter – I went home to Denmark as the country’s best smelling teenager, since I also came home with Miss Dior! But Jicky remained a Top Five for years and years…and it comes as no surprise that my favorite inspiration/writer Colette – no stranger to perfumed perdition herself – wore Jicky. You really should dig the Antiheros out! Jicky at 14?! You have always had exceptional taste it seems! I’d like to say that you won’t fall for the Vero’s, but you will! Lavender lover here! My two favorites are Tauer’s Reverie au Jardin and Kilian’s ATOH, and I have a hard time picking one over the other! I have a sample of the Tauer on the way! Lavender is one of the few notes I haven’t explored in perfumery but I do buy lavender soap. Thanks for this great post. I’m going to try all the suggestions here. Here’s my contribution: 1725 by Histoires de Parfums. It’s lavender and vanilla, a wonderful comfort scent. A couple of dabs from the sample bottle on the backs of the hands is all it takes. This stuff blooms massively. I wore it last night night. It was like I had an extra blanket on the bed. 1725 sounds wonderful, lavender and vanilla go together wonderfully. The way you say that “it was like I had an extra blanket on the bed” is particularly intriguing, I shall have to seek it out. I have samples of Brin de Reglisse, A Taste of Heaven and Kiki that I must pull out now. I also love Jicky and like Serge Lutens Gris Clair. Whether I like or loathe lavender depends on how it’s handled. When it’s sharp, medicinal, herbal edge is tempered I find it very soothing and relaxing. It’s a scent I want to mist my bed linens with. I also love it as a beautiful, water efficient, landscape plant in my garden. There are subtle differences in the fragrance depending on which variety you choose. And as a plus, it attracts honey bees! You must try them, they are great and I’d be interested to hear what you think of them. Lavender is definitely soothing and relaxing. I don’t mind a medicinal/herbal lavender as long as it’s not overly sharp or harsh. Great post and a lovely selection. 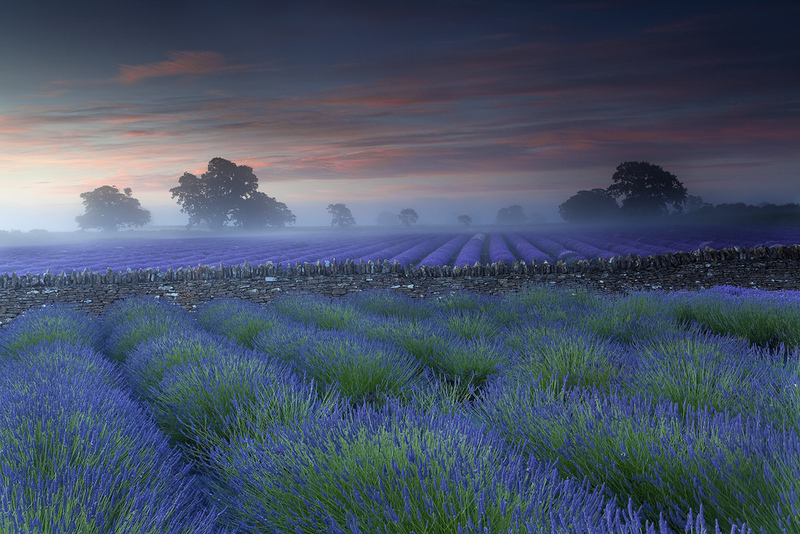 I had a lavender field for my PC desktop pic for a long time. I had similar negative associations with lavender and couldn’t imagine really taking to a lavender dominant perfume until I tired Dior’s Eau Noire. That pairing of immortelle and lavender just blew away all those old associations. I’d be happy to send you some. How about The Disappointing Lavencer for Chanel’s Jersey? Ha ha. I tried Kiki and the other Vero Profumos today and I was very impressed by their extremely high quality and how interesting the compositions are. I actually thought Rubj was the most fascinating, which I didn’t expect. I can see why you love it so. I have a lavender field as my desktop too (the one at the top of the post), there’s something calming about staring at it all day isn’t there? Haha! I daren’t try Jersey, it’s had such a bad rep that I’ve avoided it. Maybe I should try it just for comedy value? The Vero Profumos are wonderful and as you say, they are very interesting compositions. I’m glad you like Rubj, she’s a dame! It’s interesting how one perfume can change how you feel about a note isn’t it? Pour un Homme is great, do try it if you can! Great post! I like lavender a lot, but I wouldn’t say it’s my favorite (that would be tuberose). The only one I have is Caldey Island Lavender. I find it incredibly easy to wear. Jicky is a classic, but I didn’t like it much. After reading your reviews of Brin de Reglisse and A Taste of Heaven, I’ll have to try them! Tuberose is my favourite too! Caldey Island Lavender is just so pure and simple isn’t it? Do try Brin de Reglisse and A Taste of Heaven, they’re wonderful. Hairy Lavender: Guerlain’s Mouchoir de Monsieur. I prefer this to Jicky, both because it is a bit more forceful but also much longer lasting. Sparkly Lavender: Guerlain’s Eau de Cologne du Coq. Fresh, sparkling, happy, cheerful lavender. Good choices! I particularly like your descriptions ‘Hairy Lavender’ and ‘Sparkly Lavender’. Great collection of suggestions. Lavender is strange. I am still trying to pin down the components of the Le Male lavender accord which makes me feel short of breath when I smell it. I have smelled the same accord in many fragrances and I think a heavy does of tonka kills lavender for me but otherwise I like it. You have to try Gris Clair. I don’t think you will like it but the lavender-amber combination has a “lavender from the dead” effect that is unique. The lavender in Le Male is good, in fact Le Male is just good, I don’t care what the haters say! I have tried Gris Clair and I have to admit that it was a scrubber, that was about 5 years ago when I was a perfume n00b, so I shall have to try it again. I’m intrigued by the “lavender from the dead effect”! To me it smells as if someone had filled a stone tomb with lavenders and I was raiding it. If anyone thinks that lavender is prep-y GC would teach them a lesson. I love your description – I need to re-test it! I must try Antiheros, anything by Etat Libre D’Orange makes me go weak at the knees, and to be honest, I haven’t looked into this one properly. I really want to find a lavender I love, but the last I tried was Gris Clair, and the oily dry down grossed me out, I haven’t returned to lavender yet! I didn’t mention it in this guide but Antiheros is probably my favourite lavender, partly because it reminds me of an awesome time in Paris but also because it’s just such an easy scent to wear. I’m not a big lavender fan at all. So many lavenders just evoke cheap aromatherapy or cleaning products to me. Even among the non-cleaning-products lavenders, I don’t like some – I don’t particularly like A Taste of Heaven, for example. It’s tolerable I guess. That is the big problem with lavender isn’t it? When it’s done badly it can smell awfully cheap. I’m glad to hear that you like Reverie au Jardin, I’ve just received a sample and I’m looking forward to testing it. As an aromatherapist, I think lavender is WONDERFUL! The most versatile of all essential oils and well-deserving of your review. Great post! Thank you, and I completely agree, Lavender is wonderful. May I suggest to add another one to this list? Utopian by Social Creatures! Ever since Caron has become successful with their Pour un Homme, it is a sort of standard to combine lavender and vanilla in such a perfume – I wonder why perfumes with this rather mellow combination are being referred to as „masculine“ so often. Actually, I do not feel too comfortable with it. I understand the notion to have something opposing to the lavender’s sometimes tart herbaceousness. But I think the aromas of lavender and vanilla have nothing I common, there is no bridge between them. As a result, I find these kind of lavender perfumes straining and demanding – I do not feel very much at home with them. A few years ago, the perfumer Russel Newell came out with a much better solution: he replaces the vanilla with a very much refined tonka bean accord (with cognac and frankincense). The smell of tonka can be reminiscent to vanilla, but in a good perfume, it avoids any impressions of ice cream or custard. I get what you mean re lavender and vanilla not having anything in common but I definitely think I’m on the opposing side when it comes to my opinion of how good they smell together. Utopian certainly sounds very interesting, thanks for brining it to my attention! Since Social Creatures came out in 2007 they never released more than their three perfumes. A good sign! I wish more houses would issue only few but thoroughly designed perfumes instead of series of 6 or 10 hastily releases every year. This is true, brands do tend to release too much too quickly! Gosh, I haven’t tried it in years! I can’t say that I was overwhelmed by it when I did, though. Thanks for the heads up, Lorenzo! It sounds intriguing. Always CARON POUR HOMME. The best lavender based perfume, the best balance lavender/amber/vanilla . Maybe my signature perfume, also my father’s and grand father’s signature scent. You come from a long line of men with excellent taste, Roberto! Caron Pour un Homme is probably the closest thing I have to a signature as well… in part because of the clash between lavender and vanilla cited above. For whatever reason the collision of cool and warm, medicinal and comforting, chastening and appetizing, barbershop and oriental, etc. never gets old. I’d love to experience your Paris in the sunshine, but my own first encounter with Pour un Homme consisted of a chilly week spent in New York City in the spring following a visit to the Caron boutique with my wife, which reminds me – when talking about PuH, don’t forget the importance of the musk! Caron Pour un Homme never gets old, you’re right. It’s timeless.